Tag this latest edition of Alice's Adventures in Wonderland "literary coolness:"
An annotated edition — twelve Lewis Carroll scholars taking a chapter each. A joint project from The Public Domain Review and Medium, in celebration of the 150th anniversary of the classic tale. 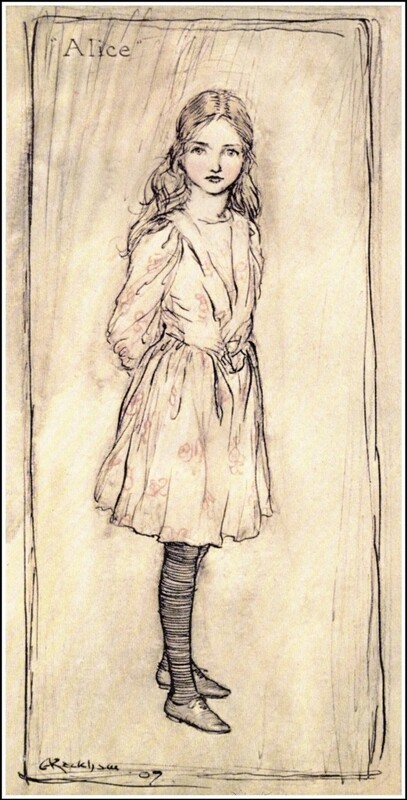 "‘[N]ot a moment to think’: Carroll’s repeated references to Alice’s lack of reflection on her entry to Wonderland recalls both the impulsive nature of childhood and also the undirected and non-reflective manner of dreaming." Read the text, complete with annotations, here on Medium. 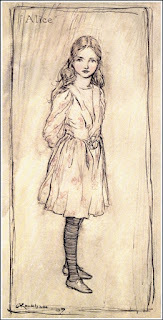 And definitely check out Arthur Rackhman's beautiful illustrations.